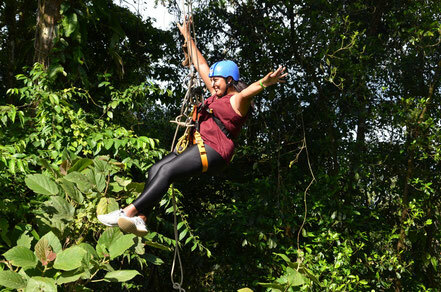 During your visit to Arenal Volcano in La Fortuna, you can´t miss the chance to enjoy the perfect combination between nature and adventure that the canopy tour gives you. 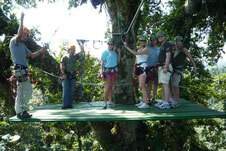 Imagine yourself flying over the trees from one platform to another while you can enjoy the perfect view to the volcano and Arenal Lake by doing the Sky tram and Sky trek, or the forest and the amazing view to the Arenal river cannon at Canopy Vista Arenal, also you have the option to combine to different activities the horseback riding with the canopy at Athica Canopy, or you can enjoy a trip full of adrenaline by doing the tarzan swing with Arenal Ecoglide Canopy Tour. 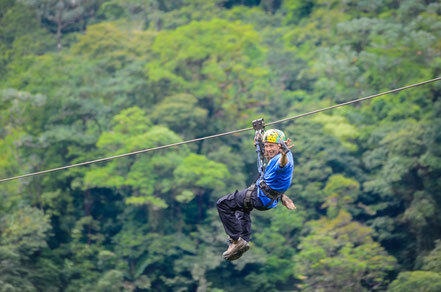 Enjoy this thrilling aerial adventure of approximately 3 km, starting from a tower 13 meters high and glide your way down 9 cables made with the best galvanized stainless steel, ranging from 80 meters to 750 meters in length, with an average height of 38 meters. 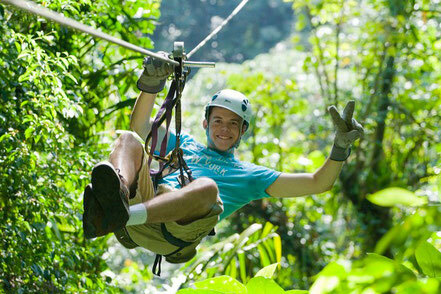 Arenal Mundo Aventura offers 11 cables in total, span lengths of 200 meters up to the longest of 960 meters; each cable offers a different sensation and experience crossing canyons, observing waterfalls, over the tops of trees or leaving from a spectacular OBSERVATION TOWER 18 meters high. 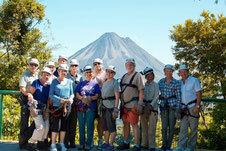 The Fortuna and Pino Blanco waterfalls, along with the majestic Arenal Volcano accompany us on this trek. 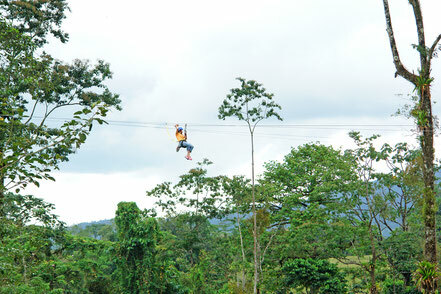 Strategically located in Fortuna with stunning views of the Arenal Volcano and runs on a cable that give you the chance to see the forest from above and with his feet almost touch the tops of the trees. 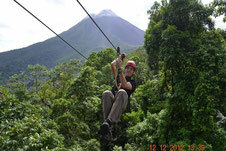 The tour includes 8 cross-sectional cables that together have a total length of 1.7 miles with distances from 100 to 2460 feet, and with a maximum height of 660 feet, which exceed the treetops providing a panoramic view of the Arenal volcano and lake Arenal. 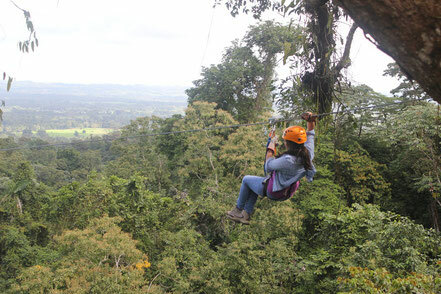 Arenal Ecoglide Canopy is known for having two separate cables, the first cable is the one you glide on, the second is for major safety precautions. 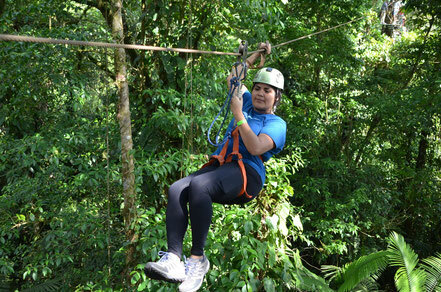 The canopy consists of 15 cables and 18 platforms which are divided into three sections that are found mostly in the trees, which are designed to provide our visitors greater contact with nature. 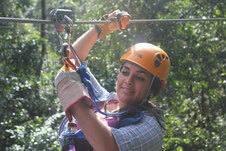 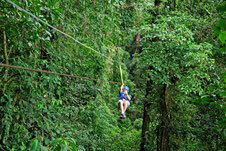 The Canopy Los Cañones consists of 15 cables and 16 platforms, traveling a full distance of 3 kilometers (1.86 miles). 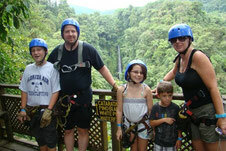 The cables’ distances vary from 50 meters to 500 meters with varying heights and speeds.